We're already seeing demand for our diatomaceous earth (DE) swim pool filter powder. We've stocked up our warehouse with CelaPool, our low dust DE swim pool filter powder, and also our traditional Celatom swim pool filter powder. We're ready to take orders and ship product! And that's what we're looking to do starting today at the Western Pool and Spa Show. EP Minerals will be demonstrating CelaPool swim pool DE filter powder at the show in Long Beach, CA, March 21-23, at the Long Beach Convention Center in Booth #613. We've known for decades that diatomaceous earth (DE) swim pool filter powder produces the clearest, sparkling clean pools. But that powdery DE has also been known for being messy and hard to handle. That can put a damper on pool care. Who wants to clean up powdery white stuff around your beautiful swimming pool? Well, we took that problem to heart, and guess what? Problem solved! Our R&D team put on their super smart innovation hats and, voila - EP Minerals created our patent-pending LOW DUST diatomaceous earth filter powder - CelaPool! Our CelaPool swim pool filter powder is less messy, easy to handle and comes in thermally sealed bag. 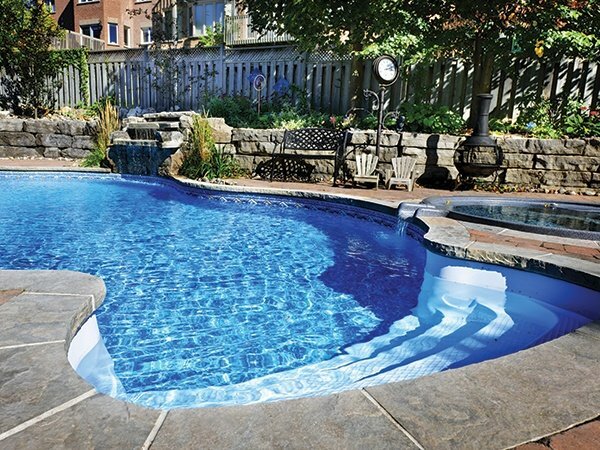 “For years, we listened to swim pool professionals complain about the dustiness of our swim pool diatomaceous earth filter aid, even though they knew that DE was the most effective for creating a crystal clear and clean pool,” said Amy Weaver, EP Minerals’ swim pool product manager. “Now we have a low dust product that addresses that issue, and we’ve received a lot of great feedback on it. There’s nothing else like CelaPool in the market today,” Weaver added. "We've been hearing that this year will be a huge swim pool season with lots of demand for DE swim pool filter powder, so we're stocked up and ready to ship. The Western Pool and Spa show is a great way to kick off the swim pool season because there's so many swim pool pros and customers here," said Weaver. CelaPool comes in a leak-proof thermally sealed plastic bag, for cleaner handling and storage in two different sizes: 6 lb. and 24 lb. “Not only did we address the DE dust problem, we created a better package for the product with the thermally sealed bags. The new plastics bags hold up great in wet areas like around a swimming pool,” said Weaver.